At the top of each digest, you’ll find the easy action of the week, it only takes a few minutes and it is the most urgent call to action. This week, we’re asking you to contact your Senators. Ask them to protect public health by restoring updated human health criteria to West Virginia’s water quality standards. Easy Action: Click here to send a letter to your Senators. Late last week, the Senate Judiciary Committee stripped updated human health protectionsfrom our water quality standards. This decision was made without public debate at the request of a few industry lobbyists. The full Senate will vote on the water quality standards rule (SB 163) tomorrow. Contact your Senators now; tell them to update drinking water protections today. WV Rivers is alarmed by the lack of opportunity for the committee to consider public health expert testimony. Prior to the committee vote, an off the record stakeholder meeting was held. Industry was there with over 30 representatives. How many in attendance represented the public? Just two, West Virginia Rivers and the West Virginia Environmental Council. Following that meeting, Committee chair, Senator Charles Trump, assured WV Rivers that public debate and scientific testimony would occur when the committee took up the bill. That didn’t happen. Instead, the committee gave the public a one-hour notice of the meeting and then in a matter of minutes, voted to remove public health protections. There was no testimony by public health experts or the WVDEP. 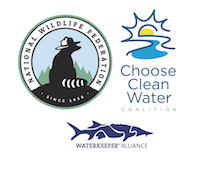 This week, WV Rivers along with 26 partner organizations sent a letter to Chairman Trump expressing disappointment over the committee’s handling of the water quality standards bill. The letter outlines our concerns over the lack of transparency and public debate. You can read the letter here. What’s next for our drinking water? The full Senate will vote on the bill tomorrow and then the bill will cross over to the House. There is still a long way to go before the rule is law. Keep pressure on the legislature! Contact your Senators; let them know that safe drinking water can’t wait. Ask them to update human health protectionsas recommended by the WVDEP, EPA and the Senate Energy, Industry and Mining Committee. Beyond water quality standards, we are tracking a number of other bills that have water quality implications. We’ll provide you updates on these bills as they move through the legislature. Head over to WV Rivers’ policy webpage where you’ll find a handy tool to help track the bills below. Introduced on 1/23/2019. Now in Senate Natural Resources Committee. Introduced on 1/10/2019. Now in Senate Judiciary. Introduced on 1/24/2019. Now in Senate Government Organization. Introduced on 1/11/2019 now in House Energy. Introduced on 1/9/2019. Now in House Energy. Join WV Rivers and allied organizations for Environment Day at the Legislature tomorrow, 2/7. It’s an important day for water and we need you there to show your support for updated water quality standards. 10:00am – Press conference on water quality standards in the Capitol building. 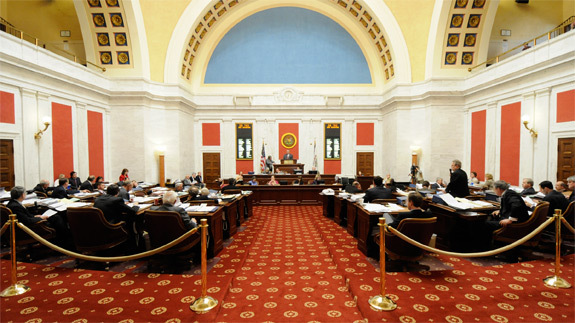 11:00am – Join us in the gallery of the Senate Chamber for the water quality standards vote. Email ktyner@wvrivers.org if you are interested in attending. Afterwards, head over to the Empty Glass for E-Council’s Green Jam benefit. Learn more.